The latest Cognac from the house of Martell is cellar master Christophe Valtaud’s expression for the savoir-faire heritage that is inherited by both him and the other master blenders. The Savoir-Faire Cognac is a tribute to the generations of knowledge passed down through Cognac maisons. This particular Cognac from Martell is an assemblage of eaux-de-vie from the Borderies region; the smallest and highly sought-after Cognac cru. Selected by hand from the Jean Martell ‘Paradise’ cellar, the five master blenders of this Cognac house have come together to bring their expertise to one superior Cognac. It has been blended by Christophe Valtaud. To properly showcase the launch of its blend, a unique decanter was designed in collaboration with Les grands ateliers de France, who are a group of some of the finest artisan craft makers in France. The case is crafted out of ebony and parchment, and is inspired by the twisting intricate details of the vine. 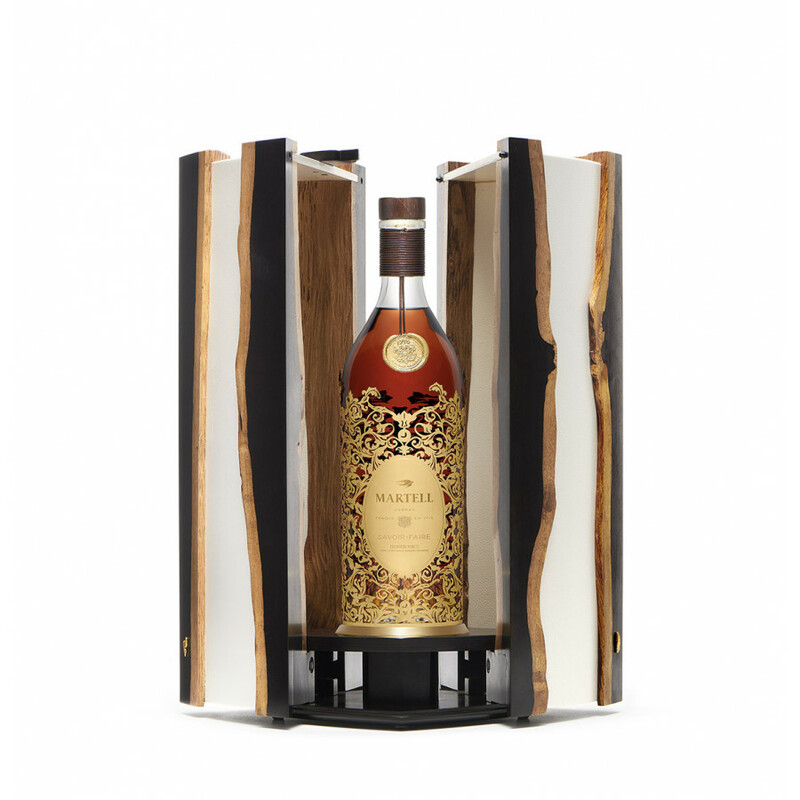 An auction has been hold for the winner to experience Savoir-Faire Cognac for themselves; not only this, but they will also be invited to the House of Martell to discover the innermost secrets of the maison. The highlights include a dinner and an evening at the Château de Chanteloup, and an exclusive degustation. The cellar master will show the guest the art of the blend using the five unique eaux-de-vie. It is certainly a Cognac worth the experience. The silica-clay soil of the Borderies region has been favored by the Cognac producers at Martell since 1715 when the house first landed on its rich soil. The Ugni Blanc grapes that grow here are highly coveted; the smallest Cognac cru is renowned for producing fine and subtle Cognacs blends that are incredibly smooth and delicately floral. Distilled in large copper stills, it becomes the precious eaux-de-vie. As the vapour rises, it condenses forming a clear liquor. Martell pride themselves on producing exclusively clear wine where there are no impurities left. It is this that truly makes for great aromas, such as that of the Martell Savoir Faire Cognac. Then comes the ageing process, in large oak barrels. The oak gives the eaux-de-vie the beautiful amber color, ready to be blended expertly by the Martell Master Blenders. All in all, it is a truly beautiful process. There is no tasting review of Bowen Pale Cognac yet, but the producer writes that it is fresh and fruity.